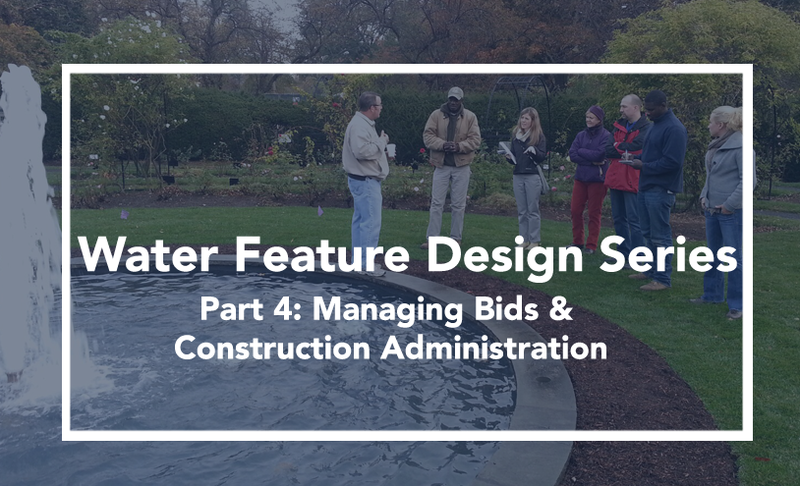 Learn about Fountain Consultant service expectations during bidding, Construction Administration and on-site construction coordination. When a project has been advertised for bid, it is recommended to ask the Water Feature Consultant to be available to answer questions that various trades may have regarding the plans and specifications. 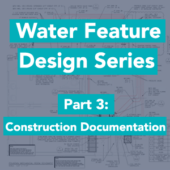 This can be particularly important for complex projects, where the contractor’s pricing could exceed the budgets if they don’t understand the systems or the importance of the roles each specified component plays in the final product. Conversely, the trades may miss something necessary within their estimates and bid the project with a low, incorrect price. A pre-bid conference is an excellent forum for getting information to all bidders, in one meeting. Once the proposals are submitted, the Water Feature Consultant should be engaged to help vet the low bid candidates, to ensure that the bids are competent, in compliance with the plans and specifications, and have no hidden substitutions or other general errors. When a qualified low bidder is selected, the project can move into the Construction Administration phase. Construction Administration typically begins with a submittal review. 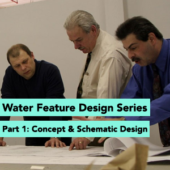 It is extremely important to review shop drawings and cut-sheets for every component specified for the water feature. Almost no product is too small or unimportant to review. As a rule, the reviewer should reject any incomplete submission, even if it is marked Partial Submittal, suggesting that there is an intent to submit the balance at a later date. It is too easy to make mistakes as the reviewer when evaluating incremental approvals. 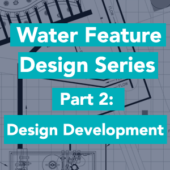 Depending on how much involvement the owner and design team require of the Water Feature Consultant, there are a few more areas where they can be effective in this stage of managing the progress. Construction milestones, like concrete pours, nozzle orientations, etcetera, can be critical times to visit the site. A Water Feature Consultant may be able to identify many common, but serious issues, such as suction loops or bonding errors, in time to allow the installers to correct the problems before the equipment is encased in concrete. Also, it is always recommended to have the Water Feature Consultant present for commissioning. Having an expert commission the system during the initial startup provides a great opportunity to train the owner and any maintenance personnel on how to operate the system and controls. All of these post-engineering services are in place for one reason – to give the owner the product that he or she was promised during the previous design phases. 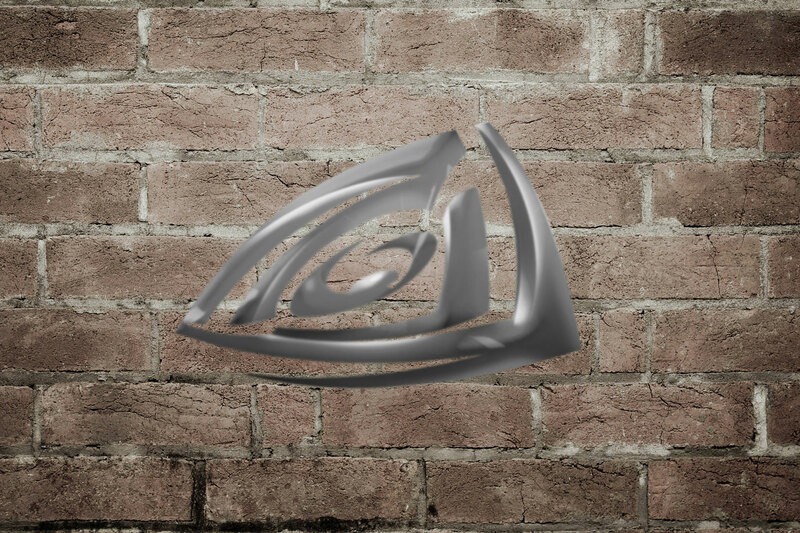 When the owner’s vision comes to life, the project can be considered a success.